Shopping for Black Widow Bobble Heads? Assemble… and bobble! Black Widow wants to defend you! Relive the action of Marvel Studios' Avengers: Age of Ultron with this stylized bobble head of Natasha Romanova's alter ego. 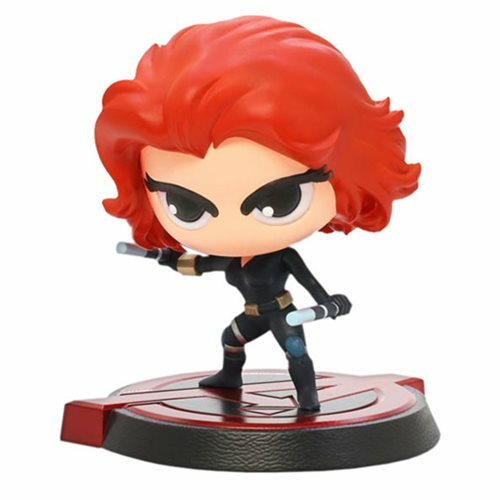 The Avengers: Age of Ultron Black Widow Hero Remix Bobble Head comes on an Avengers-themed display base and measures approximately 6-inches tall. Ages 14 and up.